70.5" long. 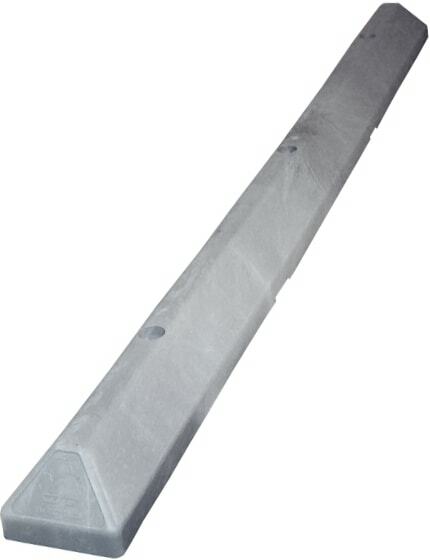 5.75" wide. 4" tall. 70.5" long x 5.75" wide x 4" tall, Approximately 16 lbs. each. 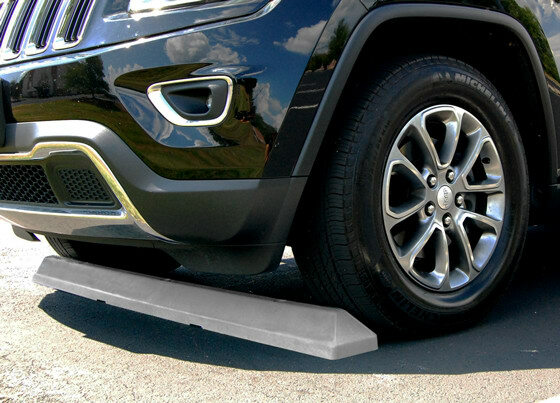 Engineered for added strength at lower weight, the 6-foot commercial plastic parking block can be carried and installed by a single person. 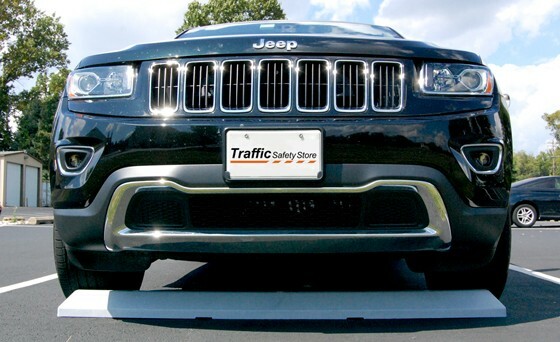 LEED qualified and made from injection-molded, 100 percent recycled HDPE plastic, this parking stop resists tire scuffing and natural elements. The color is molded throughout – there's no upkeep required. 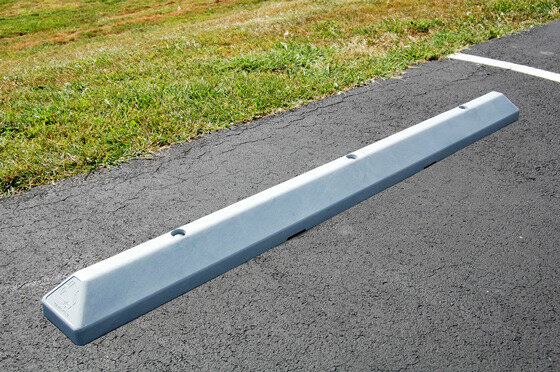 Great for shopping mall parking lots, apartment and condo complexes, and commercial grounds. Comes in high-visibility yellow, traditional gray, white and handicapped blue. 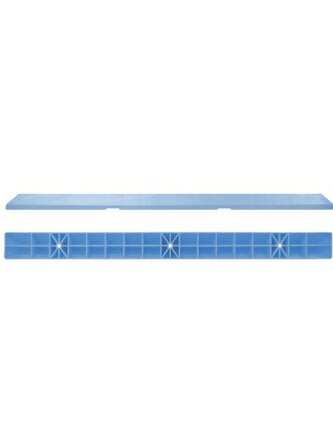 Has recessed bolt holes and mounting hardware is included.